Michigan has become the first state in the Midwest to legalize recreational use of marijuana, allowing citizens at least 21 years of age to light up and toke. The law is set to take effect on December 6th this week. In the Nov. 6th election, voters endorsed legalizing the use of recreational cannabis (Proposal One) by adults who are at least 21 years old, similar to current alcohol laws. So far, eleven states including California, Colorado, Maine, Massachusetts, Nevada, New Hampshire, Oregon, Vermont, and Washington and the District of Columbia have legalized the use of recreational marijuana. Although marijuana has been legalized, there are still restrictions and stipulations that smokers must adhere to. Marijuana can only be consumed on private property, although landlords and employers can prohibit its use according to a report by the Associated Press. Citizens will only be allowed to have 10 ounces of marijuana kept at home. Meanwhile, anything over 2.5 ounces has to be kept in a locked container. Cannabis enthusiasts can also grow up to 12 marijuana plants in their home for personal use. However, retail cannabis shops aren’t expected to open until sometime in 2020 or potentially later. When retail does start selling cannabis it’s worth noting there will be a 10% excise tax on all marijuana sales. The tax money will go toward “the implementation, administration, and enforcement” of the act. After that, $20 million would be provided annually to “one or more clinical trials that are approved by the United States Food and Drug Administration and sponsored by a non-profit organization or researcher within an academic institution researching the efficacy of marihuana in treating the medical conditions of United States armed services veterans and preventing veteran suicide,” according to a report by Michigan Radio. Activist Post previously reported that if ballots for either medical or recreational legalization passed in just four states – Michigan, Missouri, North Dakota, and Utah – the marijuana markets could generate an estimated more than $2 billion in combined sales. But the biggest hurdle smokers and smoke shops face is the federal government. Federal laws currently classify marijuana as a Schedule I drug — the highest level of classification given to illegal drugs, which unfairly puts it in the same category as heroin and ecstasy. However, with the Democrats winning the House this may make reform of federal laws a future possibility. 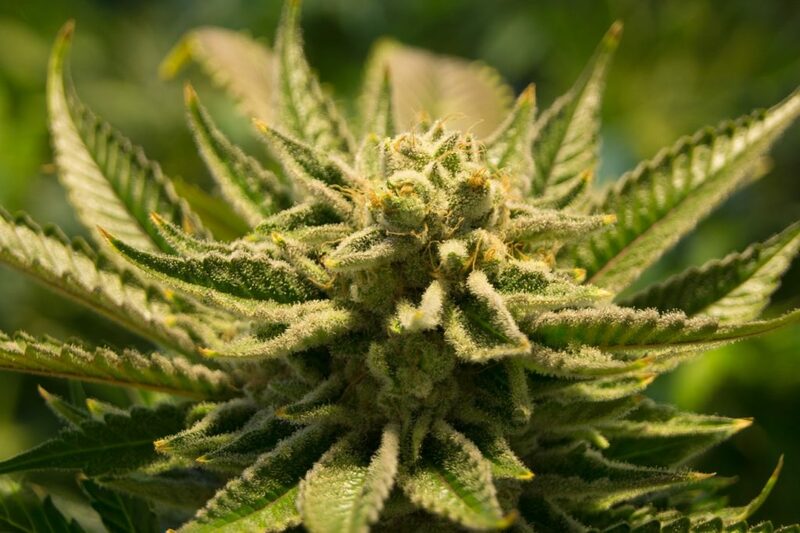 “[I]t’s the people in leadership who have the power … and whether they want this to get done sooner or later,” Douglas Berman, an Ohio State University law professor who writes about marijuana policy, wrote in a blog post. In a break with his own administration’s policy under former Attorney General Jeff Sessions, U.S. President Donald Trump has previously said he would support a legislative proposal leaving marijuana legalization to the states to decide. Trump plans to pursue federally legalizing medical marijuana following next month’s midterm races, according to Rep. Dana Rohrabacher, a California Republican. The Trump administration has made a “solid commitment” to reform marijuana laws, and the president has spoken in support of federally legalizing the plant for medical purposes, Rohrabacher told Fox Business Channel. With successful ballot measures in Missouri and Utah, that brings the total number of states with medical marijuana laws to 33 and 10 for recreational use. As a result, amending the federal U.S. Controlled Substances Act may not be too far behind. In October, the U.S. Food and Drug Administration (FDA) asked for public comments about the “abuse potential, actual abuse, medical usefulness, trafficking, and impact of scheduling changes on availability for medical use” of cannabis and several other substances. The Trump administration sought public comments from interested parties in advance of an earlier UN pre-review on marijuana as well earlier this year. Elsewhere up north of the U.S., in October Canada became the second country to legalize the recreational use of marijuana. Smokers have permission to pack as much as 30 grams of cannabis while traveling within Canada’s borders. Sales of medical marijuana have been legal in Canada since 2001. More and more states are legalizing cannabis and Canada is starting to feel the big boom in sales. Earlier this year Uruguay was struggling to keep up with the demand by consumers of cannabis. That’s something for U.S. states, and any other countries seeking to legalize the use of the plant, to think about.